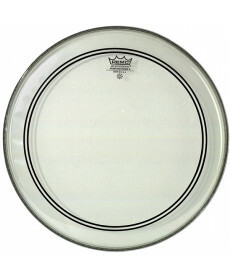 Pele de Timbalão Evans G2 Clear 14". Material: Duas camdas de 7 mil. Diâmetro: 170. 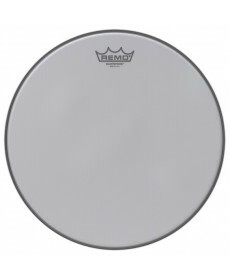 Pele de Timbalão Remo Ambassador Coated 12". Material: Uma camada Mylar® 10-mil. Diâmetro: 169. Pele de ressonância para tarola Evans S14H30. Material: Uma camada de 3 mil. Diâmetro: 170. 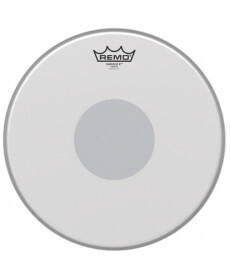 Remo Powerstroke 3 Clear Bombo 22"
Pele de Bombo Remo Powerstroke 3 Clear Bombo 22". Material: Duas camadas de 10 mil Mylar® com duas 1/2” FALAM® Patch. Diâmetro: 162. 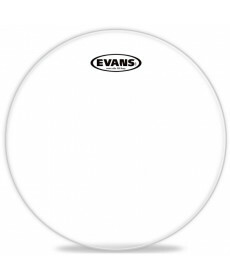 Pele Timbalão Evans G1 Clear 16". Material: Duas camadas de 10 mil Mylar® com duas 1/2” FALAM® Patch. Diâmetro: 162. 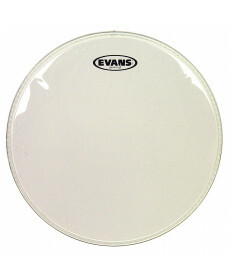 Evans™ G1™ series features a single ply of 10mil film blending a bright tone, sustain and sensitivity. The head sets the standard for an open and expressive sound. Tuned low, it produces a cavernous rumble that emphasizes the natural sound of the shell. Pele de Bombo Yamaha SH22250BL Ressonância 22". Material: Uma camada com logo Yamaha. Diâmetro: 162. Cor: Black. Pele de Bombo Yamaha SH20250BL. 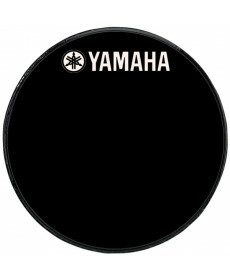 Material: Uma camada com logo Yamaha. Diâmetro: 161. Cor: Black. 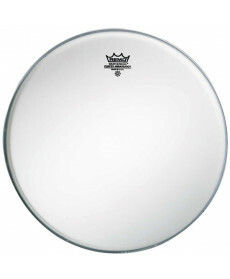 Pele de Timbalão Remo Ambassador Coated 10". Material: Uma camada Mylar® 10-mil. Diâmetro: 168. Cor: Black. Remo Emperor X Coated 13"
Pele de Tarola Remo Emperor X Coated 13". Material: Uma camada Mylar® 10-mil. Diâmetro: 168. Cor: Black. The Emperor X™ Coated features focused mid and low tones with Xtreme durability.